RamZ Website Solutions have created web design's for professional businesses, community groups and personal use. We are able to customise your web design to suit your needs. In today’s society customers and visitors have become familiar with different web designs. 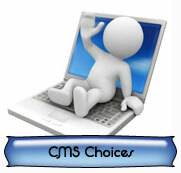 They can determine the differences between a good and poor website design. Web design is the skill of creating presentations of content that is delivered to a user through the World Wide Web. So naturally, the basis of web design is to create a great website. Web design consists of text, images and rich content and ideally it should be interactive. These days, more people are opting for custom web design because it targets their particular business needs and therefore is better at improving business sales. Understanding your audience is the key factor in web design. A web design that encourages user input and feedback is a step in the right direction. Understanding your potential user gives you an excellent insight on the possible features that could be incorporated in to your web design. Once you know what type of user is visiting your website you can tweek your web design to attract your target audience. Businesses usually have their web design done professionally. A professional webmaster and web design can help in many ways. It can expand your customer reach, give you a higher visibility, create credibility and, if your web design is good, create a lasting impression with your customers. Plus you have time to concentrate on more important things! Doesn’t your business deserve all of this from its website? To create an ideal web design that suits your personal needs, business requirements or individual products and services, RamZ Website Solutions need to know a little about you and your needs. You can organise a consultation by calling us or by submitting an enquiry using the contact us link on this site. Please include as much detail as you can, including a list of websites, web designs and features you like. If you are unsure on these, they can be discussed during our consultation. Most importantly, supply us with your contact details so we are able to get in contact with you and give you an accurate quote for your needs.